Regulatory Confusion Hinders Cottage Industry - Hartke Is Online! At the recent Virginia Independent Consumers and Farmers Association lobby day in the state legislature, I met an inspiring homesteader, who has a small business and established a successful farmers market to help others, like herself, bring their products to market. It never ceases to amaze me the burdens our over-regulated society puts on these budding entrepreneurs. Here, in her own words, Dawn Story, of Charlottesville, Virginia explains her predicament in complying with conflicting laws imposed by different government bureaucracies. If you don’t want to see that happen, please contact your Senator’s office and ask them to exempt direct selling farms from these proposed regulations. These are food producers that look each customer in the eyes, and there is a built in accountability and transparency in their direct-to-consumer mode of operation. In the case of local farms, the current state regulations are sufficient to protect the health of the public. In fact, they are more than enough! To visit Dawn’s website, visit New Moon Naturals. 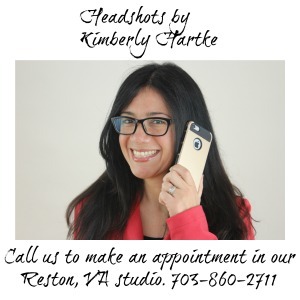 Kimberly Hartke is the publicist and a volunteer chapter leader for Weston A. Price Foundation, a 501c3 nutrition education non-profit. She is a health conscious consumer and she and her husband have lost weight and regained their health through lifestyle changes. These new habits include: sourcing ingredients from local farms, cooking at home, and embarking upon a dedicated fitness regime at their local health club. This post is part of the Fight Back Fridays blog carnival on Food Renegade blog. If you want more fuel for your activist fire, please visit other food activists there. .-= Denay´s last blog ..FDA to fight portion size? Really? =-.